The new WhatsApp v2.12.228 Beta APK is available for download available for your Android smartphones and tablets. The new update allows you to save your messages including images and videos to Google Drive. Since this is a beta version it has some bugs like a freakish one which makes Google Drive to disappear suddenly. It also means that this beta version and be downloaded only in APK form from WhatsApp website since it hasn’t yet been released to the Google Play Store. Moreover there seems to conflicting reports about the version number. Neurogadget states the new version as WhatsApp 2.12.231 BETA for Android, while FitnHit calls WhatsApp 2.12.228 APK. A major problem with WhatsApp was that if the users smartphone was lost/stolen or became unusable, he/she could lose out on all important conversations as well as images and videos. This new feature allows users to save their messages and content onto Google Drive. Thus, in case of loss or theft, the user can download his old messages in your new smartphone, without losing all the content. Users can backup their messages to the cloud by going to WhatsApp’s Settings > Chat and Calls > Chat Backup and then tap the “Backup” button. 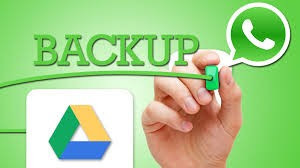 The user will then have to give permission for WhatsApp and Google Drive to backup the contents of the message onto the cloud. Apart from this, the backup in Google Drive lets you choose the time and the method of syncing with it. The WhatsApp APK can be downloaded here. Nice to see this post, keep sharingVisit Android! This is a great inspiring .I am pretty much pleased with your good work. You put really very helpful information. I am looking to reading your next post. keep it up.